Words have power, and when the semantic conveyance of those words is ambiguous, inconsistency, instability and risk ensue. For over 100 years, ecologists have debated the definitions of “native” and “nonnative.” In the process, the debate has unintentionally spilled over to other terms. For instance, definitional boundaries between “nonnative” and “invasive” have become virtually indiscernible, causing many to use the words interchangeably. In some circumstances this blending ambiguity has crossed over to noxious weeds. As a result, many state statutes will associate invasive plants and noxious weeds. It should be remembered, however, that a noxious weed–which is most often a government regulated plant species that impacts cultivated lands for agricultural producers–is not necessarily an invasive species. In an unmanaged system, the “noxious weed” could be a “native plant” species. Legislators at both the state and federal levels fall victim to these unclear definitions. 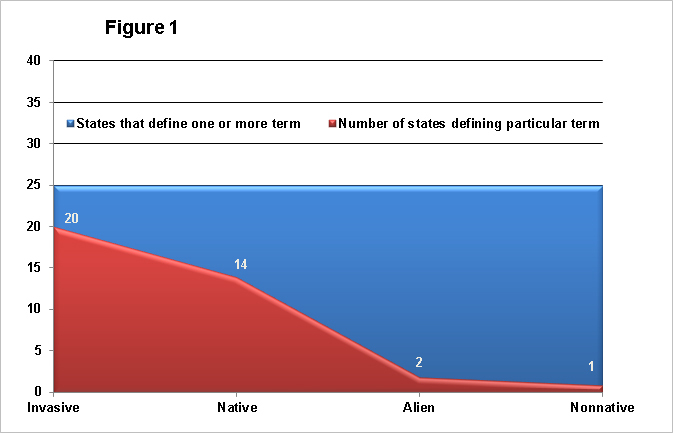 Consequently, the lawmaking process has not only reflected, but often magnified the uncertainty of the definitional debate of invasion ecology, inadvertently leading some states to pass legislation that regulates not only “invasive” plant species, but restricts “nonnative” plants cultivated for bioenergy production. For example, Florida requires that all “nonnative” plant species that are to be grown for bioenergy production in excess of two acres be permitted and bonded in an amount of 150 percent of the estimated cost to eradicate and remove the species. Mississippi’s governor just signed a similar bill into law. In H.B. 634 of the 2012 regular legislative session, section 4 proposes a permitting process for “nonnative” species cultivated “for biofuel purposes or purposes other than agriculture.” Mississippi’s proposed permitting process, much like Florida’s, fails to offer critical definitions such as “nonnative,” (as illustrated in Figure 1, a common problem among the states) over-regulates non-invasive species, and does not definitively close the door to problematic species–instead implementing a bonding requirement. Unfortunately, this may lead to unwanted instability in the nascent biomass supply chain. 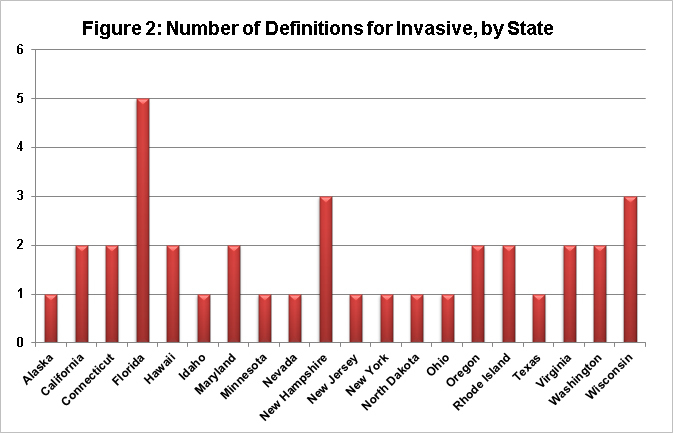 Currently, 25 states have developed various vague definitions of invasive with uncertain impacts on biofuel production. (see Figure 2) While few Midwest states have ventured into defining this critical term in a legal sense, attempts to begin production of novel biomass crops may nonetheless be subject to future permit regimes. For example, the bill in Mississippi will apply retroactively to all current biomass production. Additionally, as the problems associated with invasive plant species continue to increase in visibility amongst state lawmakers, more of these definitional debacles are likely to appear in statutes and regulations. Without solid definitional foundations, biomass producers may be trepid in their initiative to pursue biomass production with gusto. 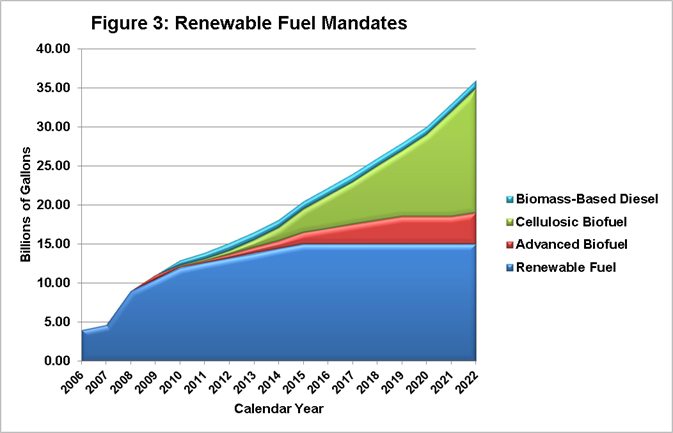 On the other hand, advanced biofuel mandates will increase over the next decade (see Figure 3), and now may not be the time to be quibbling over words, or to introduce opaque and uncertain regulatory foundations for bioenergy producers. Ecologists must, therefore, come to consensus on words such as “native,” “nonnative,” and “invasive.” Moreover, legislatures should not compound the problem by providing ambiguous definitions and guidelines that fail to provide a clear pathway to clean, sustainable bioenergy production. Speculation and Gasoline Prices: Is There a Link?